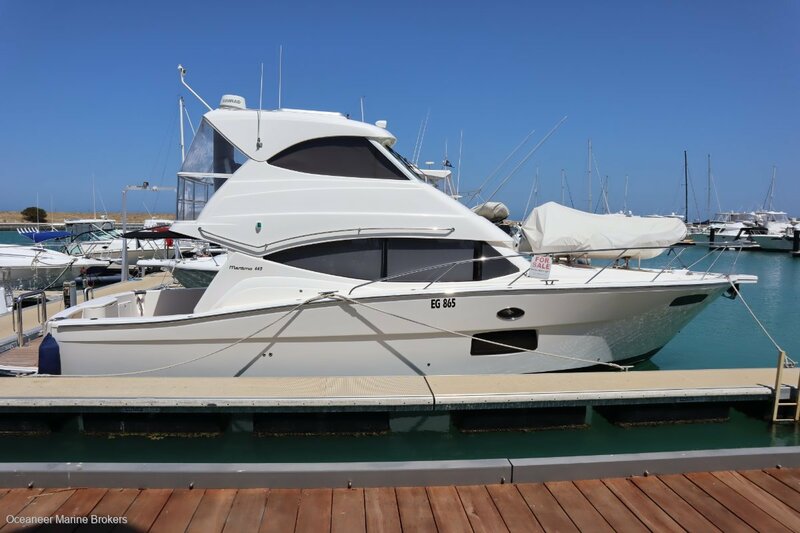 This beautiful "baby" Maritimo 440 with twin Volvo IPS has been boatman maintained under the current owner. Tens of thousands spent to bring it back to perfect presentation. By utilising the IPS system, it allows for a truly astonishing amount of space in the cabin. 3 cabins and 2 bathrooms, plus the signature Maritimo aft galley. She is currently under offer, however head over to http://www. Oceaneermarine. Com. Au/recreational-boats/ for several others available currently with Oceaneer Marine Brokers. Perth's trusted Maritimo dealer. Don't miss out on the best of summer's boating weather yet to come! Call Tom on 0417 780 566 or (08) 9243 6373 for more information.